Everything has a b rand—even a church. If you ask me, Christianity in America could use a brand refresh. Many millennials are leaving the church. But others aren’t giving up so easily, they’re challenging it to reform. And I like a challenge. The great Leonardo da Vinci said, “Art is never finished. Only abandoned.” And I’m pretty sure he was talking about the art of copywriting. 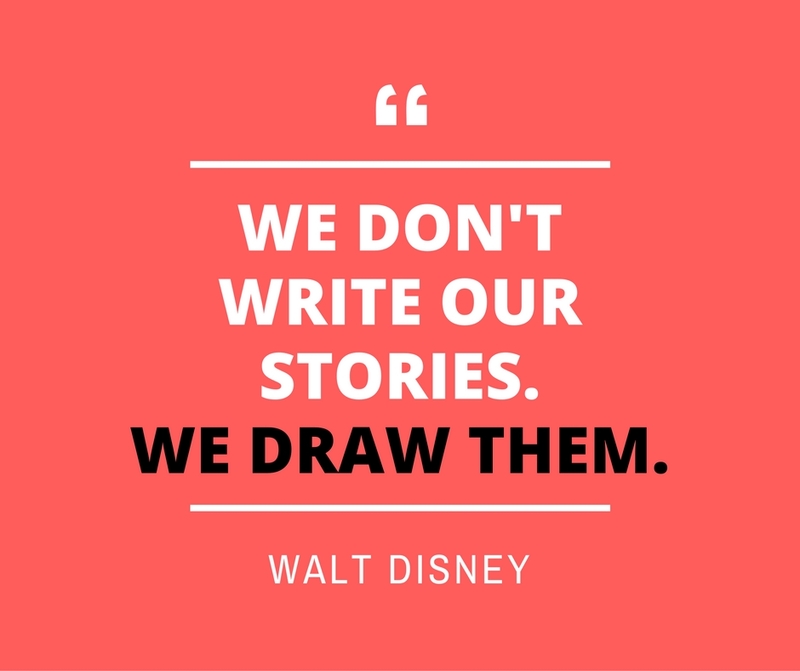 To craft the most powerful story, sometimes we have to read between the lines. The goal of an agency pitch is to ooo and ahhh the client. But how? Do you make the logo bigger? Not quite. You captivate the client the same way you engage the customer. A brand is not a logo. A brand’s positioning is not its tagline. Apple’s brand is not the apple. Coca-Cola’s brand is not the bottle or the color red or the classic script font. Fact is, branding is an elusive concept. It’s whatever your audience says and thinks and feels it is. That’s your brand. Want to create a brand? Tell a story. There’s a cerebral connection between branding and storytelling. There’s a reason for this. Contrary to client belief, branding is not about the product. Branding is not about the features; it’s not about the benefits; and it’s certainly not about the USPs. Branding is about the connections that are made in the brain—from commercial to cortex. 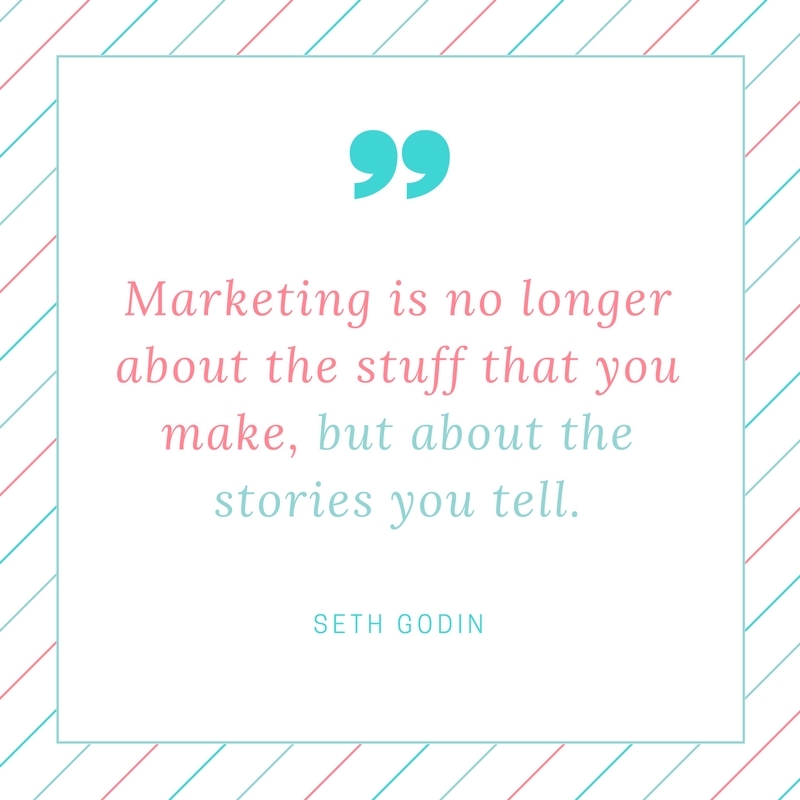 To create a brand, tell a story—because stories plant seeds that grow in the minds and hearts of your audience. What makes a thumb-stopping story? A thumb stopper is what every creative strives to deliver. When you get your audience to actually slow their scroll—and stop on your post. That’s a thumb stopper. Below you’ll find three examples of brand stories that aren’t (gasp!) about the product, but I think they are thumb stoppers. Take a look and let’s analyze the strategy and intended brand positioning for each. A young girl tells us a tale about what her mom does at work, hearing her childish tone instantly takes us to a place emotionally. She is our tour guide through a magical world. The journey concludes in her bedroom, where the best stories are told—where imaginations run wilder. Few things go together like GE and innovation, except for childhood and imagination. That’s why the strategy is to see the complex world of GE through the innocent eyes of a child. Beginning with the words, “Thank you,” we hear the voice of a swimmer share her testimony. The first frame reveals to us that she has one leg. Next we learn she’s a veteran and an Olympian. In the end, she proves that turning the negative into a positive is an act of will. This is a celebrity-endorsement-meets-documentary-slice-of-life. The strategy here is to portray what happens when you choose to focus on the good stuff…you develop a great outlook on life. When you fuel up on goodness, it keeps you going—no matter what. You know Rock, Paper, Scissors. Well, this is the story of how they came to be a trio. It begins with Paper getting bullied at school by other Paper. Next, we see Scissors. We’re quick to assume that Scissors always cuts Paper, but in this story, Scissors save. Then we see a Rock fight breakout. That’s when Paper comes to Rock’s rescue. In the end, the three live happily ever after as unlikely friends. The strategy is an animated creation myth that primarily sends an anti-bullying message and secondarily portrays (very loosely) key brand attributes of Android. There’s strength in our differences. Wait. Before you go, what did you notice about these stories? I’ll tell you what you didn’t notice. You didn’t see a single greek yogurt, a jet engine, or a technological device. Yet your brain (and maybe your heart) just made new connections with these brands and their products were never shown. That’s the power of storytelling in the context of branding.